Supervisor Elect/Assemblyman Chad A. Lupinacci (R,C,I,Ref-South Huntington) visited Melville today to recognize LBi Software, a sports analytics firm that recently relocated to Long Island. While the company’s clients include the NFL, MLB and NBA, it also works with other non-sports affiliated clients such as regional healthcare facilities. 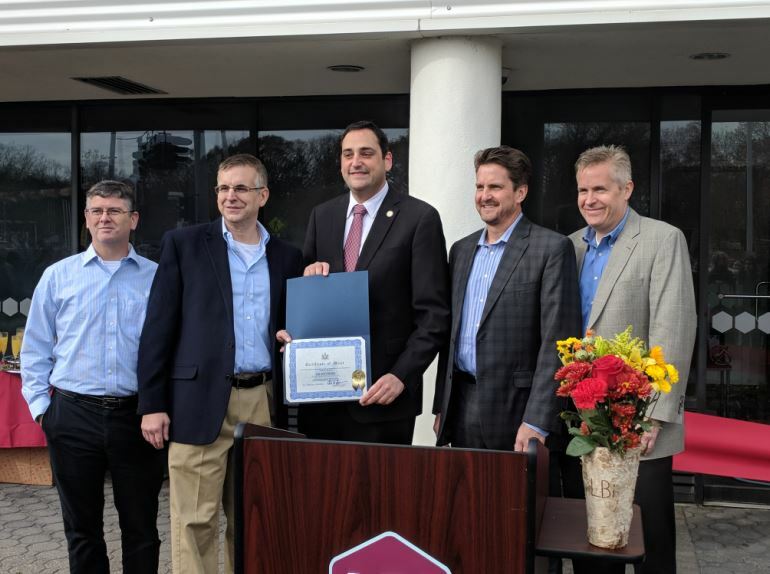 Supervisor Elect/Assemblyman Chad A. Lupinacci (R,C,I,Ref-South Huntington) presents a Certificate of Merit to LBi Software in recognition of the opening of its new facility in Melville.